The dust is settling on the summer around here–both for our family and the guest house we run. “Mindy” and “Slinky” are happily ensconced in their new apartment at the University of Arkansas. The horrified kitty made the 90 minute drive in the family truck with me, and she had something to say about it the whole ride there. Book 4 in the Cats in the Mirror series has been set as “Slinky Steps Out” since the beginning because I always knew this day would come. 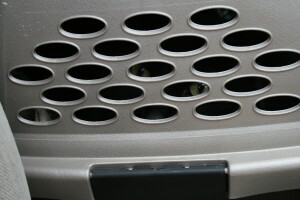 When we arrived at the apartments, cats were watching us from several nearby windows. Could they be agents? The notes are already flowing as the story starts to write itself! Can you see the eyes expressing their righteous indignation at the whole situation? I had hoped that being away from the other cats would bolster her courage, but she is still spending significant amounts of time under the sofa and behind the washing machine. Maybe she will get more comfortable over time and once the routine of the school year gets going in a week or so. 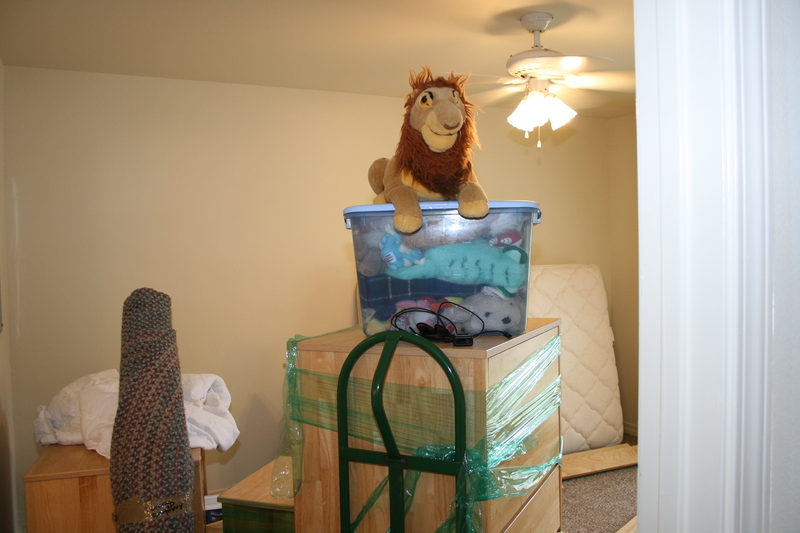 Mufasa reigns over “Mindy’s” domain, as he has since she was a preschooler. “Leia” starts back to school on Monday, so the meetings and subbing work and life-of-fall will be rolling from then on. I’m already on the sub schedule for Wednesday afternoon. I have some author event or a wedding here nearly every weekend until the end of November, so “Slinky Steps Out” will have to wait for any serious writing until then. 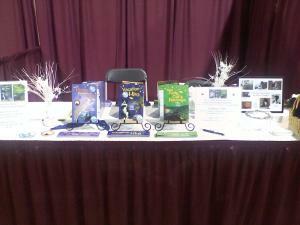 You can always see most of what I’m up to at my events & activities page. My writing in August has focused on getting some projects ready for the annual contests for two groups in the area that I love: The Ozark Writer’s League (OWL) and the Ozark Creative Writer’s Conference (OCW). Both have September 1 deadlines, but I turned in all of my OWL materials at the meeting on Saturday. Doing some specific short stories for contests like this is a great writing exercise, but it also ends up providing me with material to submit to magazines and anthologies. 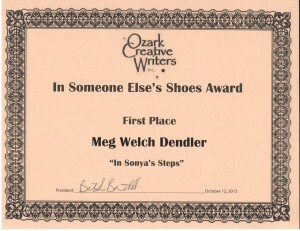 A first place winning piece from the OCW contests last year (“In Sonya’s Steps”) has been expanded and sent to The Missouri Review. Getting published in that way is great for the “street-cred.” One contest category even got me to start working on adapting “The Brave, Frail, and Delicate Princess” into a middle grade book–like I’ve been meaning to do for nearly a year. I’ve developed it up to the 5,000 words for the contest, so that’s a start! 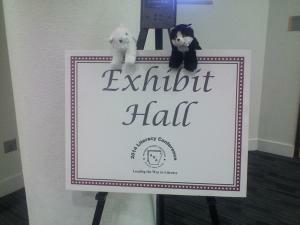 The OWL quarterly meeting yesterday was fantastic. A big bonus for me was that they brought in a children’s book writer, Christine Taylor-Butler, to talk twice, and she knew what she was talking about. It wasn’t necessarily that she said anything I didn’t know after decades of following kidlit and writing some myself, it was just nice to be talking about a topic so close to my heart. 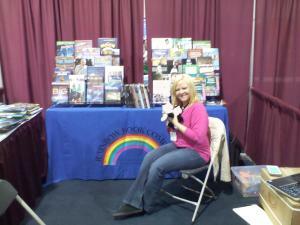 The second speaker was Heather Davis, author and blogger at Minivan Momma. If you check her blog out today, she has a new one about talking to us. 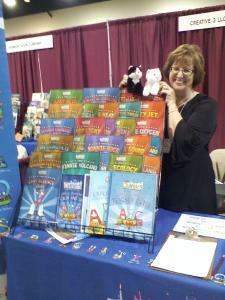 Her books look super fun, and if they are half as full of humor as she is they are well worth the read. 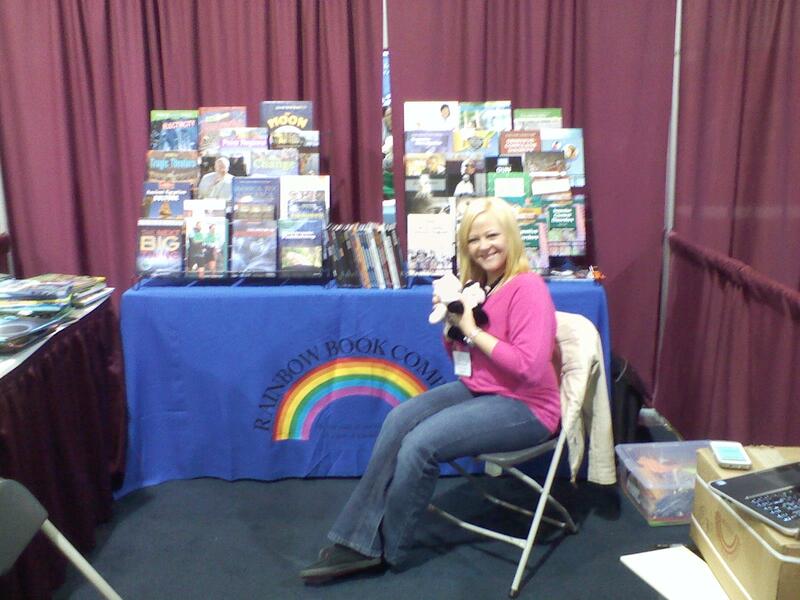 I had the opportunity for long chats with both Duke and Kimberly Pennell from Pen-L Publishing. Besides being interesting individuals and knowledgeable about the industry, they have “At the Corner of Magnetic and Main” in their pile. Fingers crossed. I also got to talk shop with Velda Brotherton and peek at her upcoming, very substantial novel, “Beyond The Moon.” I’ll have to block out a big chunk of time to read that one! Speaking of reading, I just finished a good YA book called Cassidy Jones and the Secret Formula, by Elise Stokes. If you are looking for a clean read with just enough violence and drama to keep a tweenager happy, this is a great choice, and it is the first book in a series that looks promising. For me it was a free kindle download, and I love to grab those up to keep an eye on what’s on the market. The kindle version had some minor hard-hyphen errors (my first book versions did as well), but it’s not that big a deal. Highly Recommend. Since any ebook involves getting my husband’s kindle away from him (which usually means he is asleep), I always have a “real” book going as well. I just finished “Wild Storm” by Richard Castle. Yes, I’m a fan of the show. 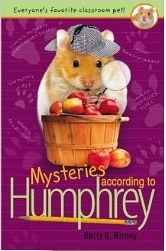 I saw it on display at the Berryville Library and couldn’t resist, but it was actually a silly and fun read. There were some glaring errors to fans of the show–like adding Ryan and Javier, who he would not have met when he wrote that book–but the plot was solid and ridiculous enough to have been written by the Castle fans love. I have “Heat Wave” waiting for me on hold at the library right now. On a more realistic note, I’m also reading “The Wildwater Walking Club” by Claire Cook. Thoroughly delightful so far. You can always check out what books I have on my radar and am currently reading (and my reviews) at my Goodreads.com page. September looms on the horizon, but I’m well prepared for my events that month. 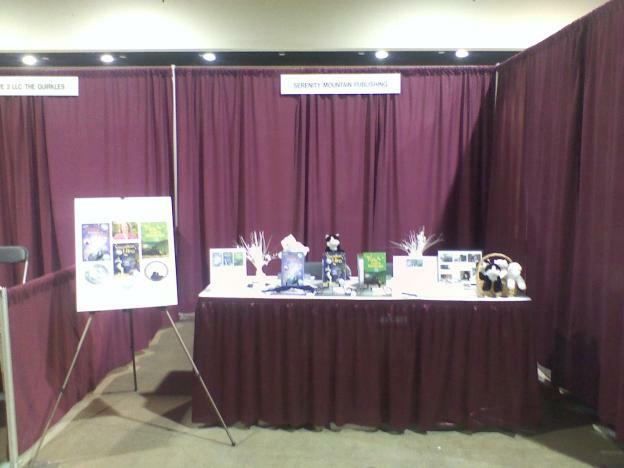 Here’s the ad I’m running in the brochure at the Cat Fancier’s Show/Event in Joplin, Missouri on the 20th-21st. If you are in the area, come check out the show. 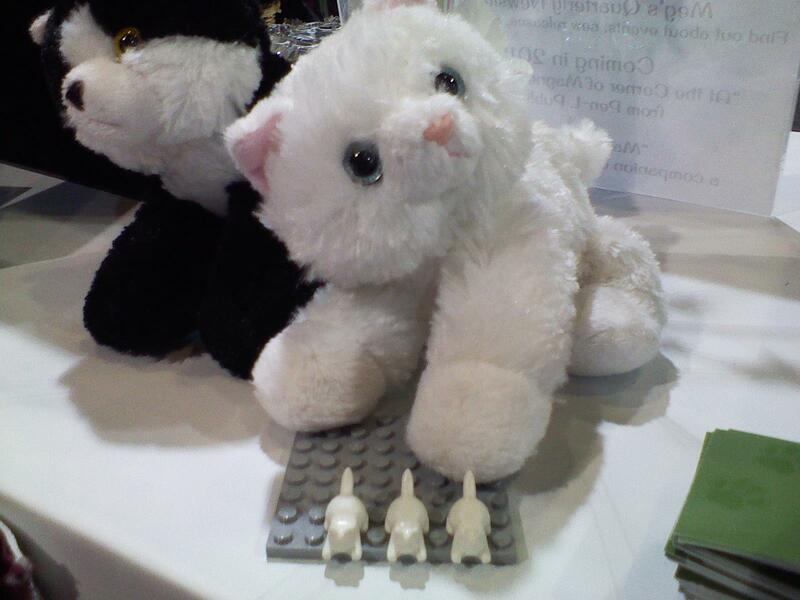 I’ve been to dog agility events and shows before, but never one for cats. How do they possibly get them all to behave??!! “Daddy” has to stay here to keep things on task at the guest house, but “Leia” will join me. I think she’s wondering about the cat control as much as I am. I’ve been told I have to go where the cat fans are, so we shall see if they are book fans as well. I hope each of you have a wonderful end to your summer. What do you miss the most when the leaves start changing? With so many years as a teacher, the school schedule has pretty much run every year of my life–with many more ahead. And, unofficially, you can get “Miss Fatty Cat’s Revenge” any time you want. Sshhh. The official launch will be on her birthday, September 12, but ebook, paperback, and signed copies are already flowing freely (see the shopping cart on the right to get signed copies directly from me). Great reviews so far! 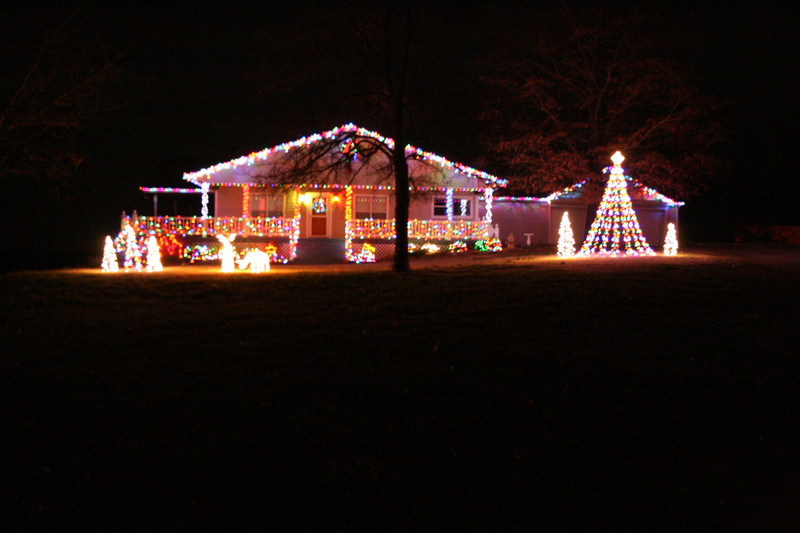 Here’s one that just posted from the Styling Librarian. 5 stars. No writer can ask for more. 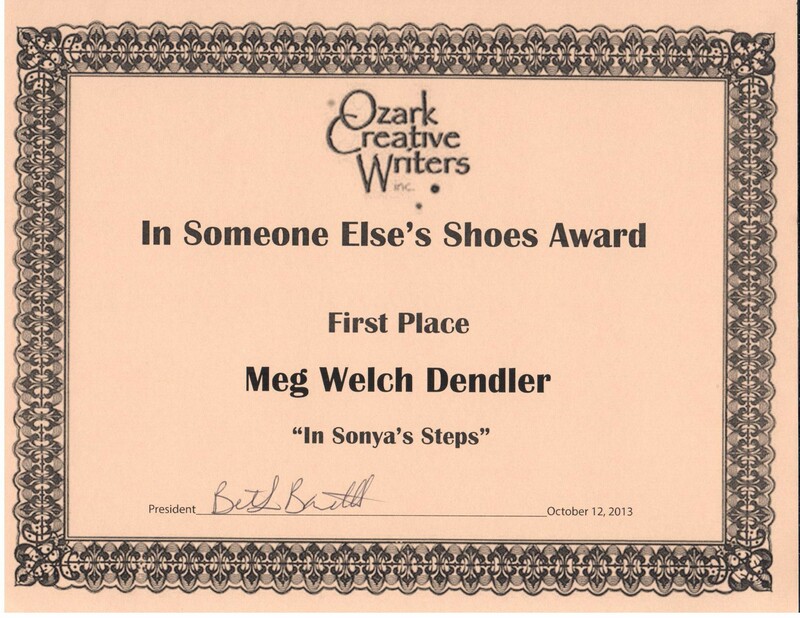 This entry was posted in Latest News and tagged cats in the mirror, Meg Welch Dendler, Minivan Momma, Miss Fatty Cat's Revenge, Ozark Writer's League, Ozarks Creative Writers Conference, school year, The Missouri Review, writing contests on August 17, 2014 by MegDendler. Today I hung out with Thor for several hours. Yes, Thor. No, not the one with the big hammer, though he is almost as impressive. This Thor. Today was my first official day as a docent at Turpentine Creek Wildlife Refuge, and so I spent the morning hanging out with Thor and talking to guests about him and BamBam the grizzly bear, who was just a few feet away. It was hot, so Thor looked like this very soon. I had a tent for some shade, so it wasn’t so bad. I’ve gotten used to seeing Thor and the other big cats, but it was fun to hear little kids (and some adults) encounter him for the first time. It gives you a healthy respect for why having one of these cats in your home is not a great idea. Actually, it’s a TERRIBLE idea. I could show you the bowling ball that Brody the lion bit in two. Here’s a boomer ball that Indie the tiger made short work of. That took her four days. 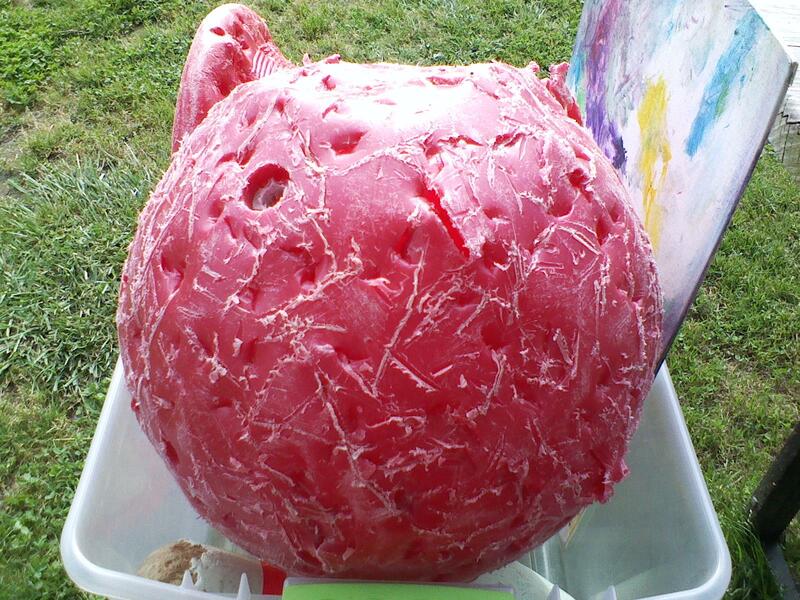 Super-thick plastic designed for big cats. 32,000 pounds of bite pressure should never be underestimated. 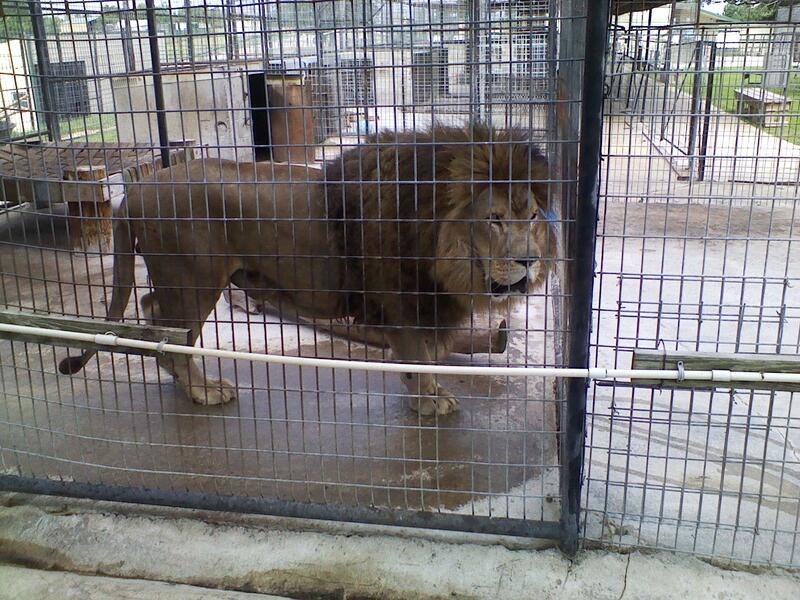 Now if the refuge can just meet their goal of getting all of the animals out into grassed enclosures in 2014. Thor has waiting long enough. 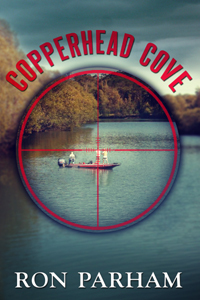 I’m looking forward to being back at Turpentine Creek Wildlife Refuge over the July 4th weekend, but publishing & promotion work does not stop over the summer. 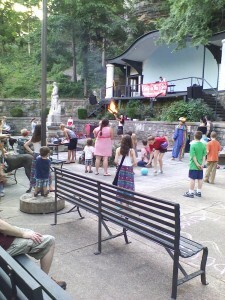 Just last night we attended a circus-style event in Basin Park here in Eureka Springs. 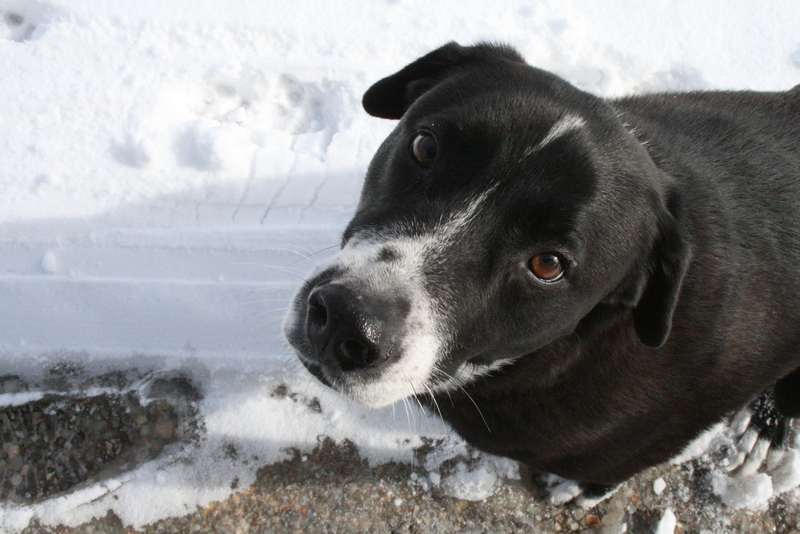 and a cutest dog contest. Our friend’s dog Tristan thought our table was the best place to hang out. Especially my daughter’s feet. Most of my book events are in the fall, but it’s fun to attend some things in town as well. 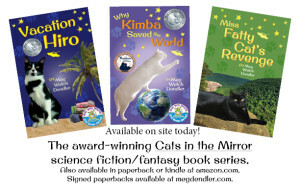 Most exciting is that Book 3 of the Cats in the Mirror series, “Miss Fatty Cat’s Revenge,” is available at amazon.com for a soft launch for friends and family. I don’t have any copies available to autograph and send out yet, but if you want to read it as an ebook the files are ready and waiting for you! Click on the book cover to visit the amazon.com page. You can also try to win one of 5 free paperback copies through Goodreads. Click here for the giveaway page. The official launch date is set for Miss Fatty Cat’s birthday on September 12. There will be some discounted offers on the first two books, but the ebook price on Book 3 will be the same for a good long time. Grab it now. You won’t be missing out on a deal later. And, of course, post a review if you enjoyed it! When you see paperbacks hit the $9.99 mark, that will be their price unless amazon chooses to discount it. Or you can wait a couple of weeks to order a signed copy right from me. Coming soon! You can read the whole review here at her blog. Other recent media attention has included a nice interview at Cheryl Carpinello’s blog and a great review of “Vacation Hiro” from Erik the Great at This Kid Reviews Books. Several reviewers and bloggers are lined up for posts surrounding the September 12th release, and I love that they are following the series and ready to support it. 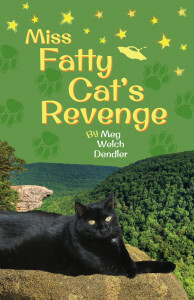 This entry was posted in Latest News and tagged Arkansas Book Reviewer, blog interviews, book promotion, book reviews, cats in the mirror, Meg Welch Dendler, Miss Fatty Cat's Revenge, Turpentine Creek Wildlife Refuge, Vacation Hiro, Why Kimba Saved The World on June 22, 2014 by MegDendler. Paperback formatting is complete for Book 3 in the Cats in the Mirror series: “Miss Fatty Cat’s Revenge.” The cover reveal will be coming shortly before I set up some giveaways at Goodreads, and we are spot-on schedule for the September release. The full book cover work is being done now (thank you, Lesley), and I’m ready to begin formatting on the kindle version. That should be interesting! I’ve also been busy with some author events. 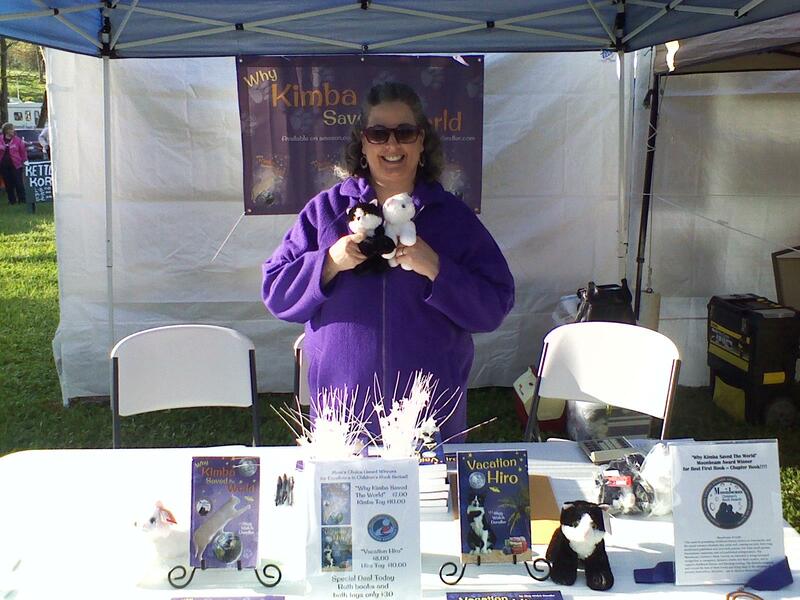 May 2nd, 3rd, and 4th I was at the War Eagle Spring Craft Fair with Kimba & Hiro’s stuffed touring reps and books to share with visitors. 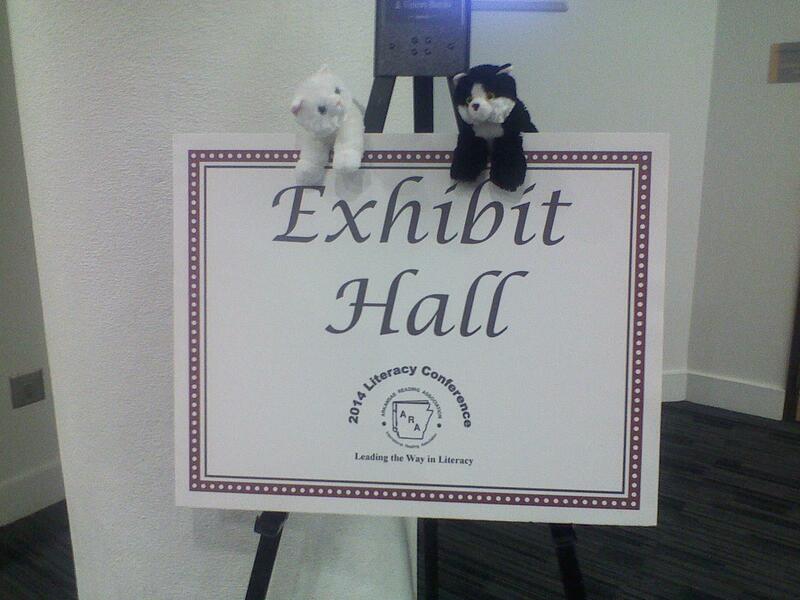 Kimba & Hiro took a tour of the grounds. Guest thought they were adorable. 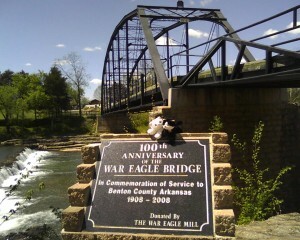 War Eagle Mill & Bridge are fantastic tourist sights. We were there and ready to share our stories! 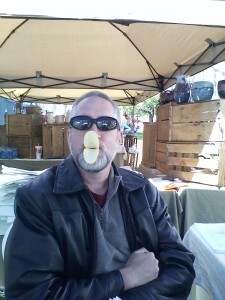 Scott made his first official Pringles duck lips for the season. He doesn’t sit still well. 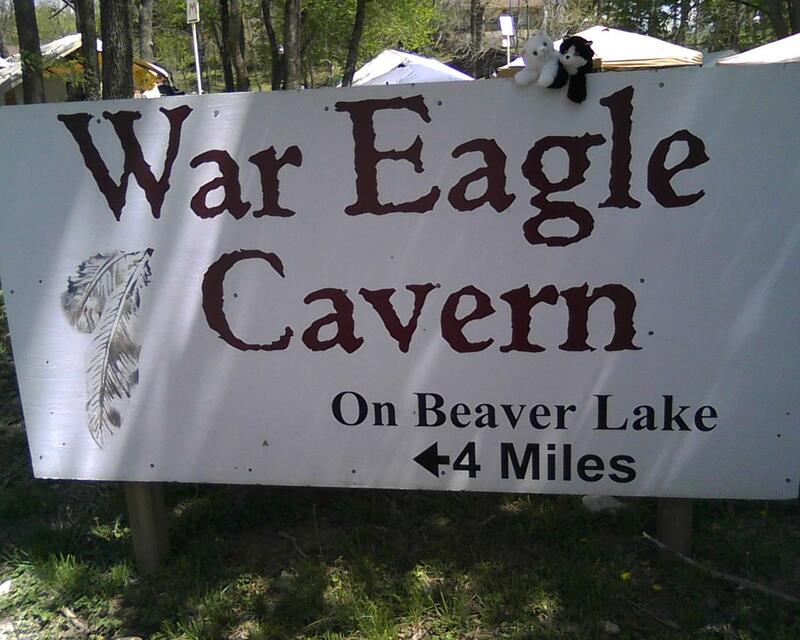 Spring at War Eagle is only about 30% as busy as the fall festival, but we earned our stripes and were able to get booth space for the Fall Craft Festival in October. I’ve attended it before, and it is PACKED! 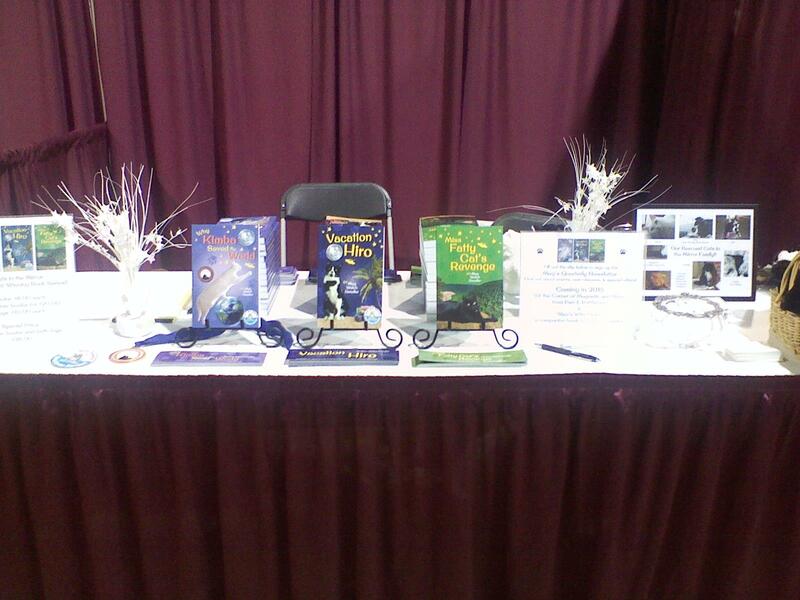 All three books will be ready by then, so we will be there and ready to roll. I hope we get to be next to Tracy again. Nearly everyone stopped at her booth. 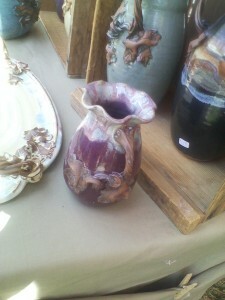 You can find her in Branson, MO, at Peter Engler’s Design at the Grand Village Shops. 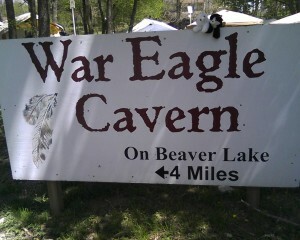 Kimba and Hiro tagged along with me for my Ozark Writer’s League (OWL) meeting on May 17th in Branson. Several members went home with copies of the books, and two have already posted 5 star reviews at amazon.com–because every writer knows how important those reviews are. So grateful! 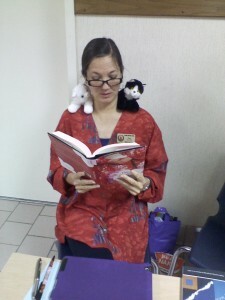 I reviewed Jan Morril’s book “The Red Kimono” a few months ago, and it was fun to get to share her with Kimba and Hiro during a quiet moment at the OWL meeting. They learned a little bit about what life was like for Japanese-Americans who were banished to internment camps during WWII. Jan also has a new book of Haiku poems available called “Life: Haiku By Haiku.” You can find out more about her great books at her web site. 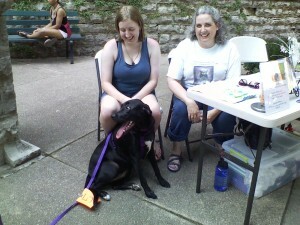 Kimba and Hiro (and me too actually) got to officially meet Pamela Foster. I think I blogged about her hysterical book “Clueless Gringos In Paradise” a while back. 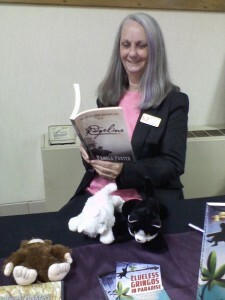 Our book tables were next to each other, so the cats were able to get in a special reading of her new book “Ridgeline.” It doesn’t even have an amazon.com link yet, it’s so new! 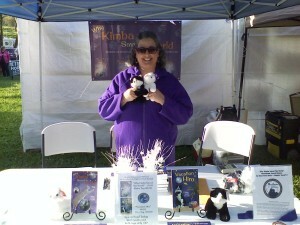 Pamela Foster treating Kimba & Hiro to a reading of her new book. Bigfoot was tired and needed to take a nap, I guess. The May meeting is also when the OWL fundraising event is held, and I was able to get my hands on the one item that really caught my eye. I love this painting, and it now hangs on the wall next to my bed and greets me each morning. 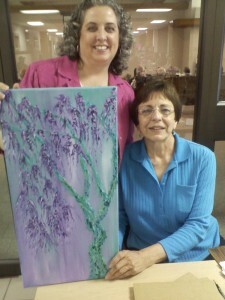 Artist Sue McCaniel with my new painting. I took advantage of a pitch session with an agent who came to the meeting and was blessed to hear those magical words: “Send it to me.” Three Cheers!! 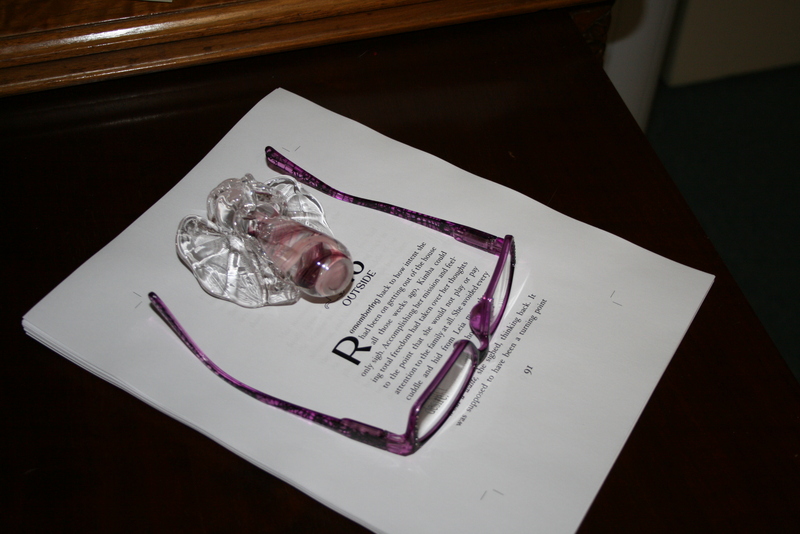 The manuscript she’s interested in is my adult spiritual/paranormal book that has been in process for about two years now: “At The Corner of Magnetic and Main.” The only catch is that she wants it to be MUCH longer. I guess I know what I’ll be up to this summer. I’m not a fan of padding a story just to reach some publisher’s required length, but I will spend some time looking at where I can naturally expand the story. 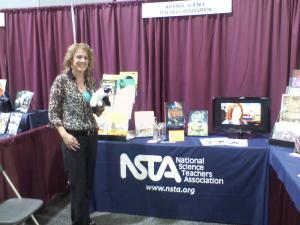 Taking part in the Kid Lit Blog Hop last week was a blast. I actually won two books and am looking forward to reading (and reviewing) them. If you are ever interested in what I’m currently reading, you can send me a friend request at Goodreads. I never say no to friend requests on public forums! That should get things caught up for now. Today begins a bit of a diversion for me. In order to transfer my teaching certification to Arkansas, I have to take a class in Arkansas history. I would love to be qualified to teach some adult ed or community college courses, so that will be accomplished before mid-July by taking one online through Northwest Arkansas Community College. It is a shortened summer schedule class and may require a good deal of time. That will probably mean less blogging, but I’m sure I’ll keep some updates coming with Book 3’s release so soon. With that class, our hopping guest house business, Book 3 creation to finish, and edits on “Magnetic and Main,” I will have plenty to do. Needless to say, summer is not a vacation time for me. I’ll catch my breath in January. Hope your summer is filled with warm memories–and a big glass of grape juice. 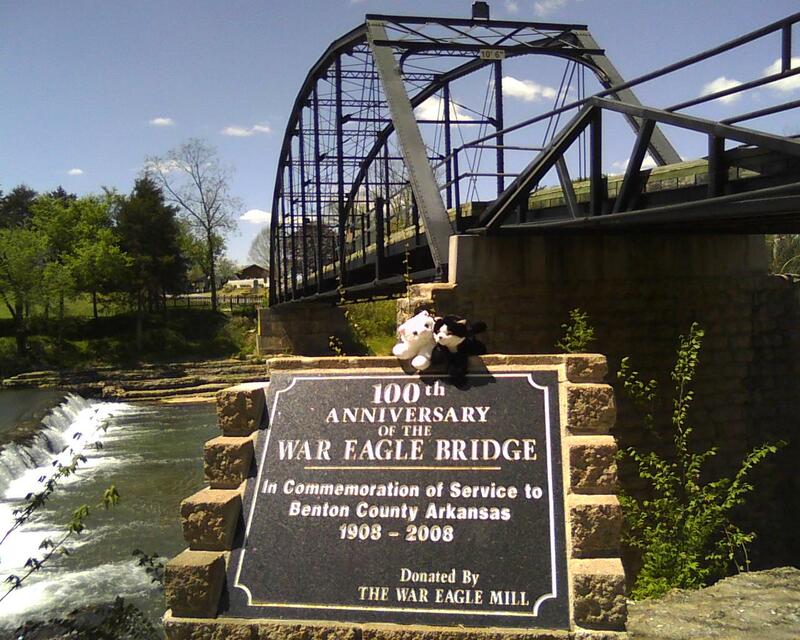 This entry was posted in Latest News and tagged books about cats, cats in the mirror, Meg Welch Dendler, middle grade books, new book release, OWL, Ozark Writer's League, Vacation Hiro, War Eagle, War Eagle Craft Fair, Why Kimba Saved The World on May 27, 2014 by MegDendler. 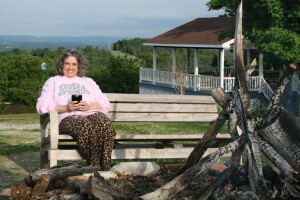 I had promised to post one of my winning pieces from the Ozark Writers Conference, and today seems like a perfect day for this particular story because the setting for it, Turpentine Creek Wildlife Refuge, is celebrating the success of a matching funds campaign to help build more of the large enclosures that are also celebrated in my writing. 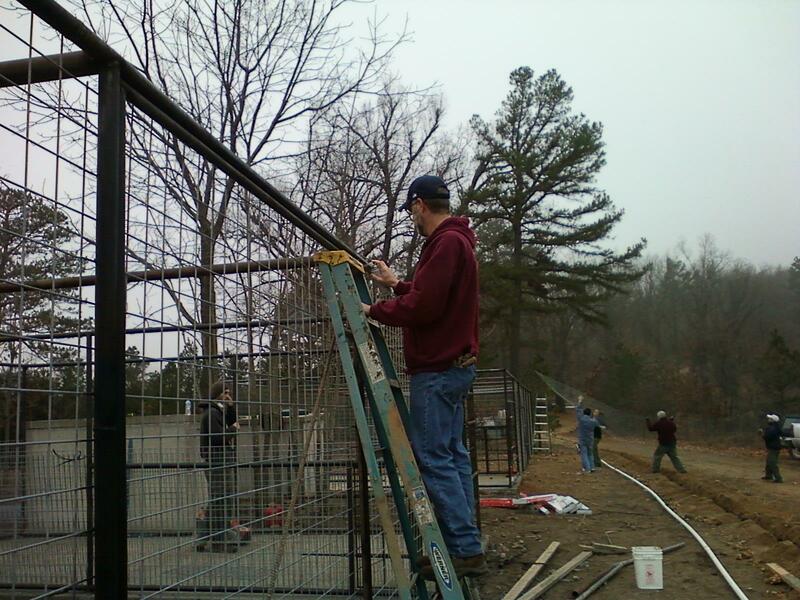 My daughter and I have gone twice to help build, clean, and prepare these grassy areas that provide open space for the tigers and other creatures at the facility to play and move and have fuller lives. 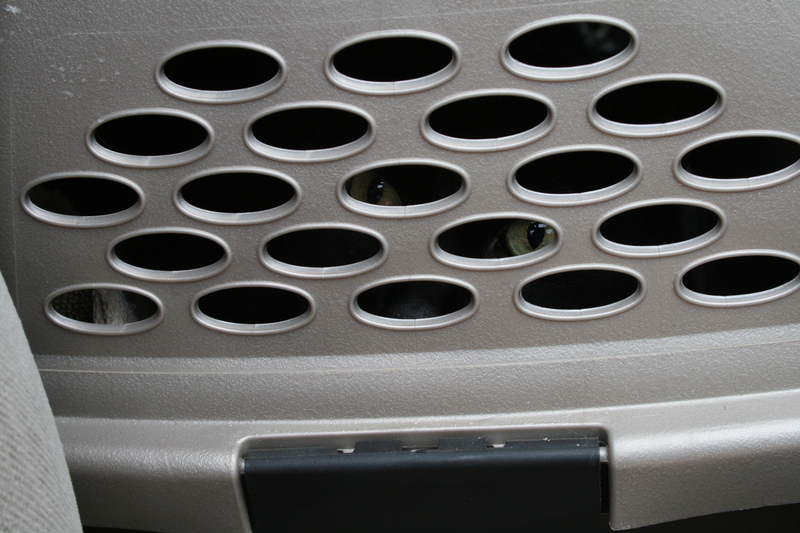 Those still in the holding enclosures, waiting for their turn, have even watched us. My daughter, spraying welding marks so they won’t rust, with a curious tiger watching. 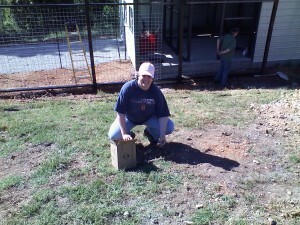 This enclosure is for BamBam, the adorable grizzly bear. It is one of my favorite places in town to visit. Besides being allowed to stand only a few feet away from an enormous white tiger while he has his dinner, I am just immensely grateful for the staff there who work tirelessly to provide as much care and comfort as they possibly can for these displaced animals — sometimes rescued from horrible and life-threatening situations. Their stories are sometimes just sad, but others are heartbreaking. There may come a happy day when facilities like this are not necessary and all big cats can live in freedom, but that time is nowhere near at hand. 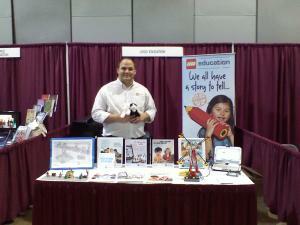 So I love to go and share my time and energy helping make their lives better when I can. Turpentine Creek will be one of the settings in my next book, “Miss Fatty Cat’s Revenge” because, according to the Cats in the Mirror series, tigers and lions are aliens too. 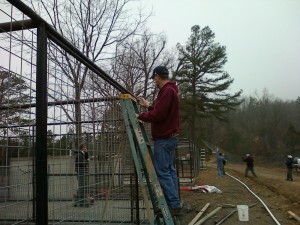 My husband, spraying the welding marks on the new enclosures on Rescue Ridge last winter. 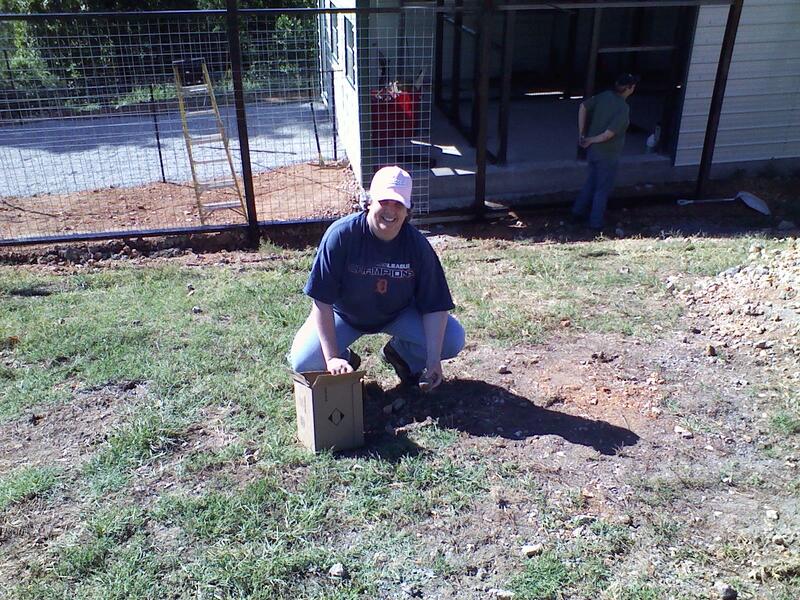 Me, picking up rocks to help clear the way for BamBam’s new habitat. The piece of writing I’m sharing today was specifically written in October for a conference I attended here in Eureka Springs. 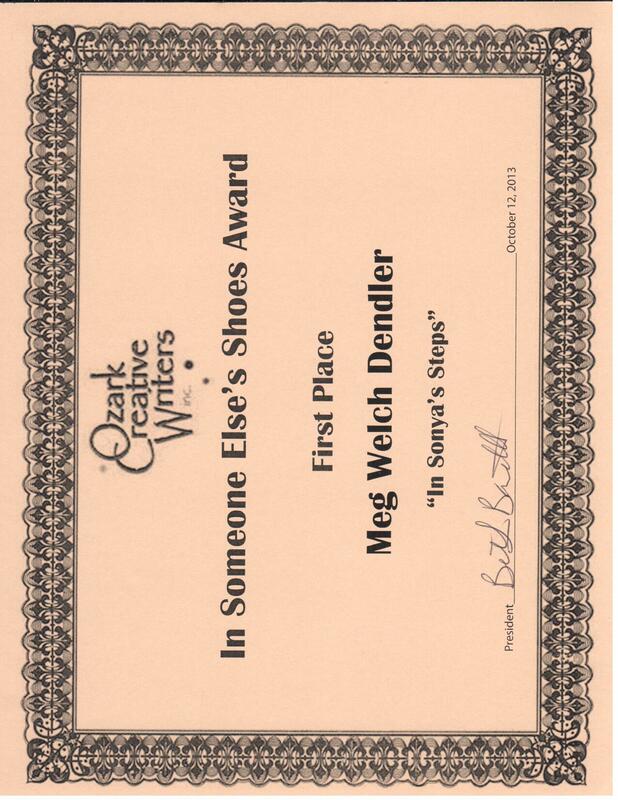 The challenge was to write a story “walking in someone else’s shoes” and to be creative with it. One of the dear tigers that had just been a part of a huge rescue effort at Turpentine Creek came to mind, and I wondered about that moment when, after a lifetime of nothing but a small, concrete cage, those soft paws finally had the chance to touch grass and run and play. 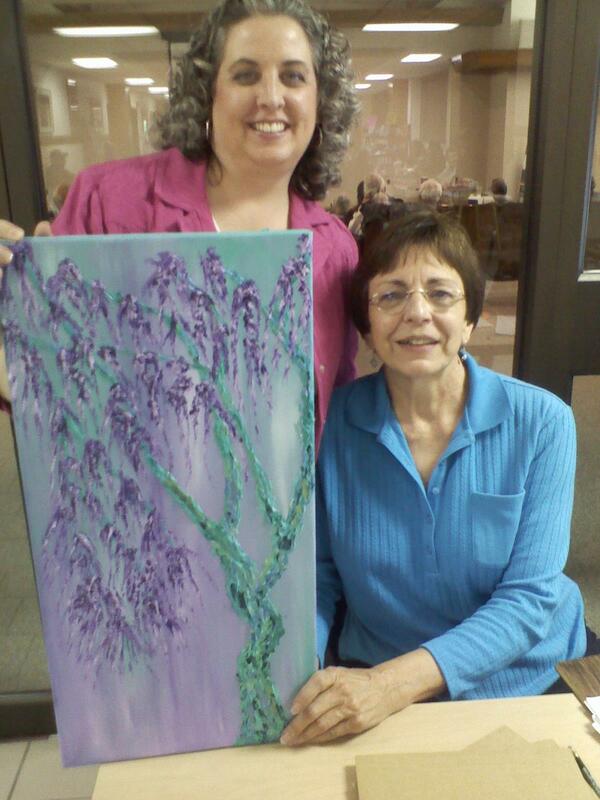 “In Sonya’s Steps” was the end result, and it won first place. 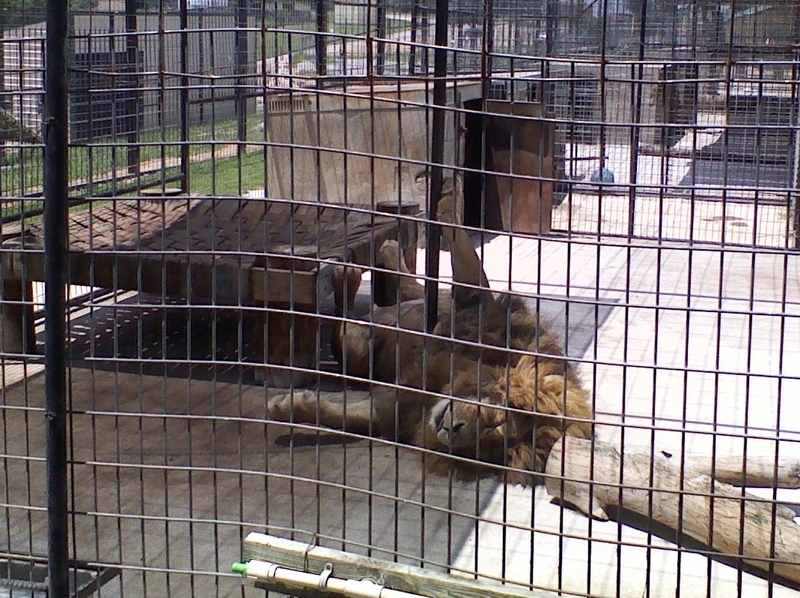 If after reading this you are inspired to make a donation to Turpentine Creek to help build more enclosure for the dozens of big cats waiting for them, I would be absolutely thrilled. I promise to personally go help build them. Soft. The ground beyond the open, black gates is softer than anything I have ever felt, like a vast sea of well-groomed fur. I carefully put one foot through again and press down gently. So soft. 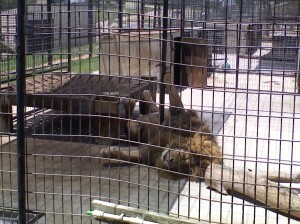 I’m amazed to find the gate open from the new, small enclosure where I woke up. The doors in my world are never open. The concrete floor is chilly and hard, sensations I’m familiar with, but beyond that open gate is something I have never experienced before. A gentle breeze blows past me, and I inhale deeply. Pine trees and rocks and the first hints of spring are all familiar. Even the smell of that soft stuff outside the gate is one I recognize. I’ve just never touched it before. A fence was always in the way. Tentatively reaching a second foot through the gate onto the soft surface, I chuff out a gust of air, hoping to calm anyone else who might be lurking in that immeasurable expanse of softness. My eyes have never tried to focus so far away. The distant edges are blurry. Instinct warns be to be wary. As far back as I can remember, I have never felt anything under my feet but the solid gray concrete of my small home. Gray fencing stood between my eyes and the landscape of freedom beyond it. Gray fencing covered my view of the sky. Every day. Just the same. There was a small wooden box for shelter, a bowl for water. Before night fell, the old woman would come by and throw me some bits of meat for my daily meal. Some fresh water was poured in the bowl. Then I would be alone again, except for the faint sounds and smells of others like me. Others trapped just like me, all around. We could count each other’s steps. One, two, three, then turn. One, two, three, then turn. That was all there was. Stretch out on the hardness of the concrete for a nap, inhaling the bitterness of it, then up and pace some more. One, two, three, then turn. One, two, three, then turn. Listening to the others around me, waiting for something to happen that never did. Some days the woman would stand by the cage and talk to me. Her voice was quiet and kind, but she never opened the gate and let me out to run free. She never opened the gate and came in to join me either. The fence was always between us. Day after day. Year after year. The morning had started out like any other. I could hear the chuffings and murmurings from the others around me, but there was also the low rumble of a machine approaching up our quiet hill. A huge grumbling monster, rancid smells wafting out behind it, ground to a stop in front of my home. The old woman climbed out of its belly, but there were other people too. They all moved slowly, approaching me just beyond the gray wire mesh of my small home. A tall, blonde woman moved to a far corner of my enclosure. She squatted down and spoke quietly to me. I was intrigued. Stealthily moving toward her, our eyes locked, I snuffed the air but did not recognize her smell. Then there was a cracking noise and a sharp pain in my side. Turning toward the noise, I saw that one of the men held a long, thick stick. He was watching me intently and speaking softly, just like the woman. He hurt me! Did he jab me with that stick? It will be the last thing he ever does! 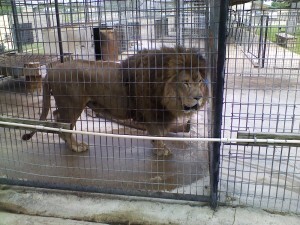 I’ll find a way to get past that fence and show him what comes of causing pain to a creature like me! I turned to face him, but my legs felt weak and wouldn’t cooperate with my directives. I tried to glare, to terrify him with my gaze, but the man and the fence were suddenly blurry and seemed far away. The old woman stood silently behind the man with the stick. She shook her head softly, but she didn’t attack him. She didn’t defend me. She just stood there, watching me. The blonde woman moved around my home so I could see her again. She made soft chuffing noises. She spoke quietly and leaned in closer to my fence. Yes, just a bit closer, I thought, reach your hand right in here. Then everything was dark as night. The next thing I knew, I was here in this strange place. New, but very much the same at first glance. Chilly, gray concrete floor. Fence between the world and me, but this fence was heavier and darker. For a long time I just lay on the concrete and stared at the fence. What happened? I wondered. After that man with the stick poked me, I just fell asleep. I’ll have to get him later, I thought, a low growl rumbling in my throat. Right now, however, I could barely move. As time passed, I was able to lift my head and look around. The world beyond the fence smelled similar, but the rising ground beyond me was in different shapes and the trees were thicker and taller. Instead of a wooden shelter, there was a large concrete box off to one side of my new home. Peeking inside the small door, I could see that it was dark and empty inside. It would do to get out of the heat and the rain, but not terribly interesting. But looking in the other direction, I realized that there was nothing between my gaze and the world. The gate stood wide open. Beyond that door was a sea of that softness that I was now strong enough to step out into. Is it a trick? I thought. Will the man with the stick come poke me again if I venture out? There’s no sign of the man, but I can smell the blonde woman on my fur. Was she touching me while I was asleep? I stop and lick my side carefully, my rough tongue removing the offending odor. Then I stare back out into the openness. The thought of exploring that wide, limitless space is thrilling and terrifying at the same time. My heart aches to step out onto the softness, but my heart is racing with a fear of the unknown, untried, untested. Maybe I should wait and watch for a while. Sniffing the air again, I can tell that the others who were around me before are around me here. Are they still sleeping? Are they already out in the softness? We have never been face to face. Will they attack if I step out? My sensitive ears twist and turn, searching for answers. I hear nothing but the birds and the breeze. Focusing on the open door, I cannot hear anything beyond it. No breathing but my own. Tuning in even more carefully, I cannot detect any heartbeats close by. Nothing but quiet and softness. All senses on alert, I step out, putting my full weight into the softness. The ground yields gently under my foot. Then the next foot. Again I wait, testing the sounds and the air. No one attacks. With greater confidence, I step fully out of the door, all four feet now buried deep in the freshness and softness of that ground beyond the concrete. It has a warmth and energy and aliveness to it that the concrete is not capable of. The sensations of the ground vibrate up my legs and all along my spine. This is what the earth is supposed to feel like, and now it is mine. If someone is waiting to attack, he will find me ready. I will not easily yield this new territory. Come and try to take it, I growl at the openness. One stride, then two, then an even longer one, my huge padded paws take me farther than I ever imagined. No pacing back and forth, only a few steps at a time before having to turn back again. I stretch out my long, stiff legs and try three trots at a time. I pause and smell the air. Four trots. Pause. Five trots in a row. Then I reach the fence. It is there. I’m not free, but as I turn and look back, the immensity of this new space looms around me. I look back toward the concrete room and the concrete house, and I feel something rise up deep inside me. There’s an instinctive urge to attempt something I’ve never done, not once my whole life. I crouch low, I spring forward in a giant leap, and I RUN! No pacing or trotting only a step or two. I leap and leap and leap, my orange and black stripes a blur over muscles so weak they soon give out and need rest, but I did it, if only for a while. I RAN. Exhausted, I collapse onto the softness, my sides heaving in and out, gasping for air in larger amounts than I have ever needed. Contentedly, I lift my head and stare at the fence. It is still there, but it is so far away I can make out the world beyond it without feeling suffocated. Is that the blonde woman, hiding downwind in the trees? I bare my teeth and snarl a warning. Come close at your own risk. Then I peer up above me. There is nothing but openness. No gray bars. No fence. I notice the sky, really notice it for the first time in my life. A rich sunlight pours freely over every inch of my fur. There is still fence around my sides, but it is far away from where I lie. Overhead, there is an infinity of space. I’m not free, but this is close. Stretching my legs out to the front and back, a move that would have left me touching the edges of my home just that morning, I roll onto my back and snort and allow the glorious smell of the softness to cover me. 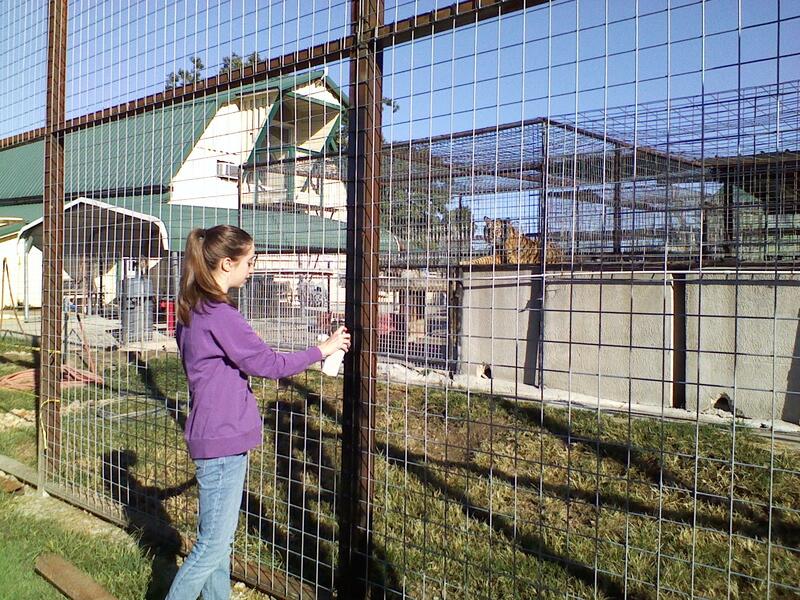 Sonya is an imagined name for one of the 27 tigers recently rescued by Turpentine Creek Wildlife Refuge. Copyright, Meg Welch Dendler, 2013. This entry was posted in Great Groups and Activities, Latest News and tagged Arkansas Authors, Award-winning, cats in the mirror, Meg Welch Dendler, Miss Fatty Cat's Revenge, Ozarks Creative Writers Conference, Turpentine Creek, Turpentine Creek Wildlife Refuge on January 15, 2014 by MegDendler.